Needless to say, Hong Kong’s cafes (咖啡厅) are a huge part of the locals’ culture. I don’t think it’s an overstatement to say that there’s a cafe on every other street. And if you were expecting cheap and authentic meals, strike out the “cheap” and it’ll be closer to reality. Each meal could go up to HKD60 (about SGD12) if you ordered at whim. Also be prepared to share tables with strangers and get railed at by unfriendly, angsty waiters. Avoid peak hours to avoid angsty waiters, long queues and rushed meals. 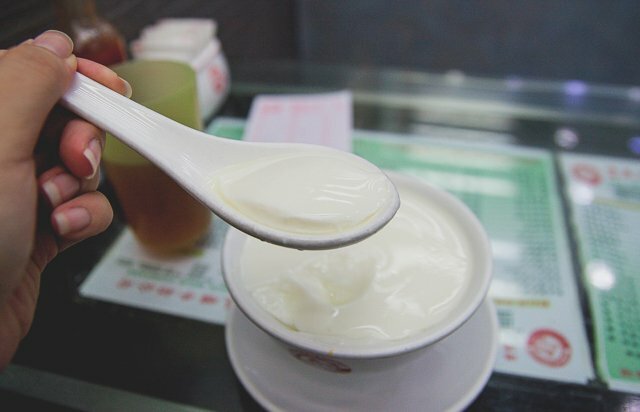 Double skin milk (双皮奶) was one of the must-tries I read about; it’s a milk custard dessert which on first glance, resembles tau huey but has a distinctive and strong milk flavour. I tried mine at Yee Shun which was a street away from the equally well-known Australian Diary Company. While it was nice, it was definitely too much for me. I’ll recommend you to share. And I ordered a buttered baguette to go with the dessert, because, well, I wouldn’t give up any opportunity for butter toast. 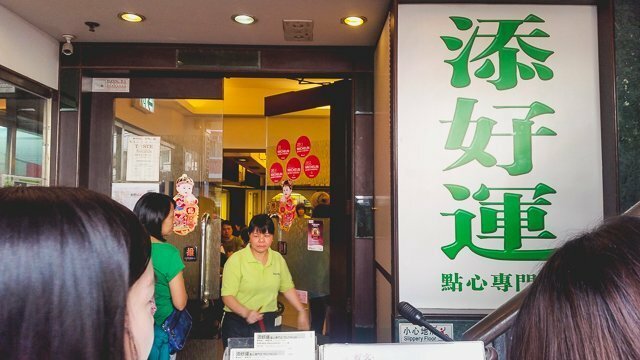 Tsui Wah is a chain of cafes whose ubiquity rivals McDonald’s. I had a pork cutlet burger, which came with a miserable serving of tortilla, and a classic iced milk tea. Of course, not forgetting buttered buns! Despite the lacklustre appearance, the taste was actually pretty good, especially the burger. I went to the branch at Chung King Mansion, which I took a while to locate. I went around Chung King Mansion at least twice to try to locate this creator of stocking milk tea but failed. All the googling of “how to get to Lan Fong Yuen in Tsim Sha Tsui” finally paid off when someone shared that there was actually an alternative entrance to Chung King Mansion which led to a newly-carved area. Enter this white entrance about 10 metres to the left of the main entrance. There’s an escalator which leads you to a relatively newer basement and Lan Fong Yuen is right in the farthest corner. I ordered a plate of chicken chop noodles (蔥油雞扒撈丁) and their famed iced milk tea. Both did not disappoint, especially the milk. Just do like the locals do. Head to the nearest cafe and order their economical set. 2. Eat all the dim sums! 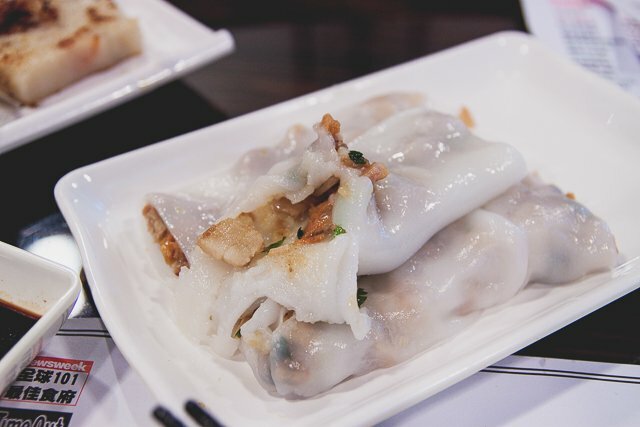 You’re in the motherland of Dim Sum. Period. Dim Dim Sum was just round the corner from my airbnb (which by the way was fabulous!). And it was opened till late so there was once I took an evening nap, woke up in the middle of the night at 1AM and went down to fill my stomach. From what I tried, I’ll recommend their carrot cake and char siew pau but will advise to steer clear of their chee cheong fun which was dry and sticky. 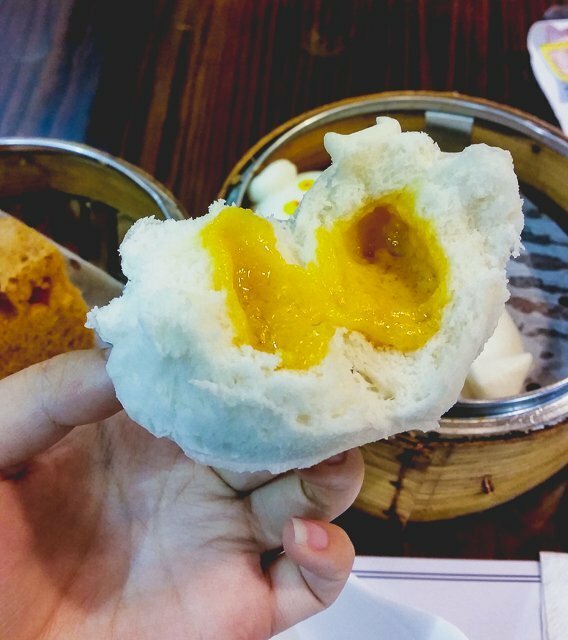 Another dim sum place I tried was Tao Heung in Mongkok. It was a large, typical Chinese restaurant with huge round tables and I got seated relatively quickly. Prices were affordable and service was a lot better in comparison to other places. The restaurant satisfied my chee cheong fun cravings and their fried char siew pau was great too. 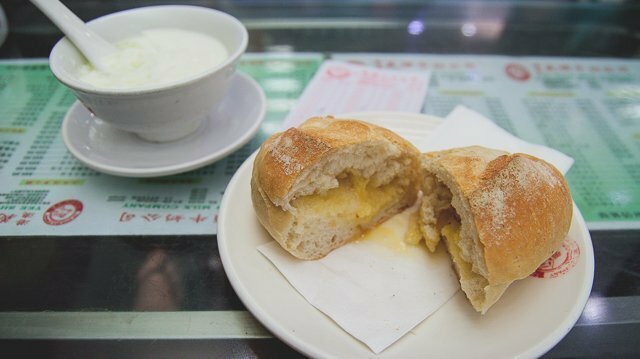 Possibly the most famous of the list, Tim Ho Wan is Hong Kong’s michelin-star restaurant. I never got the chance to try it as I was rushing for the plane but you could definitely try if you’re in the vicinity! This is the Sham Shui Po’s branch. Edit: I eventually did on my second trip and it’s really awesome! The char siew pau is a must-try, followed by the Ma Lai Gao. Visit to soak in the atmosphere, probably not so much of shopping. 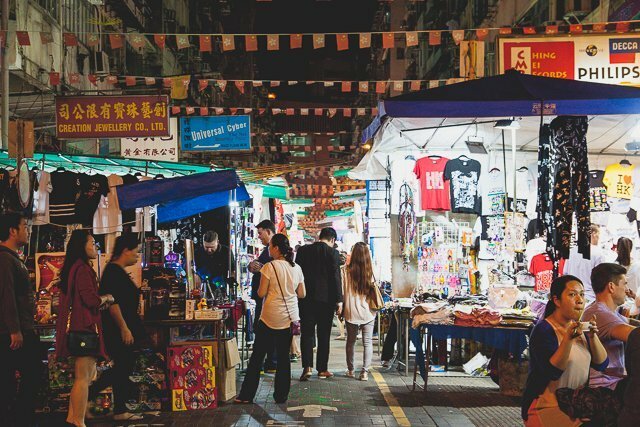 These are adjacent markets in the Mong Kok area, which are about 4 stops away from Tsim Sha Tsui if you take the MTR. You can also walk. There are a lot of knockoffs and small consumer electronics, such as power banks and USBs. A friend of mine once bought superhero-themed thumb drives which never worked. Prices are not attractive too. Very touristy. Though a lot smaller in scale and less variety, the market at Bowring Street offered products that were more affordable. With less crowds to boot. 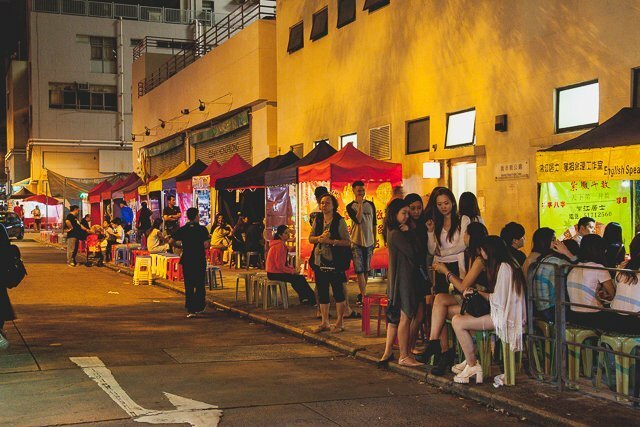 This street market only operates from late afternoon onwards with most stalls opening at night. Although officially, the market only extends to Kansu street, I found that there were even more stalls beyond. 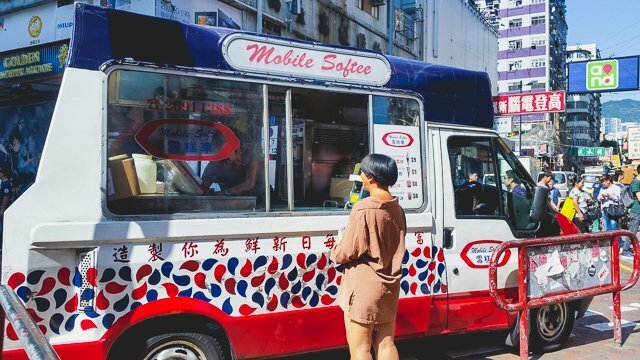 Most of the products being peddled were typical of night markets – t-shirts, household goods, souvenirs for the tourists and further towards the end after the Kansu street, adult toys. There was also this stretch filled with little tents with people queuing up to get their fortunes told. Was surprised to see that they were mostly youngsters. No trip is complete without some shopping. Of course there are large malls but I’ll skip those and share these lesser known locations. The shops at Argyle Centre are mostly for teenagers and young adults I feel. You can find clothes at less than 10 bucks a piece but don’t expect too much of a quality. It’s a very compact shopping centre so a little mileage yields a fair amount of variety. Don’t expect anything too lavish or comfortable, because like the name suggests, it is an industrial centre. Expect to do some digging for gems. Head over to the upper levels for less crowds and more unique finds. 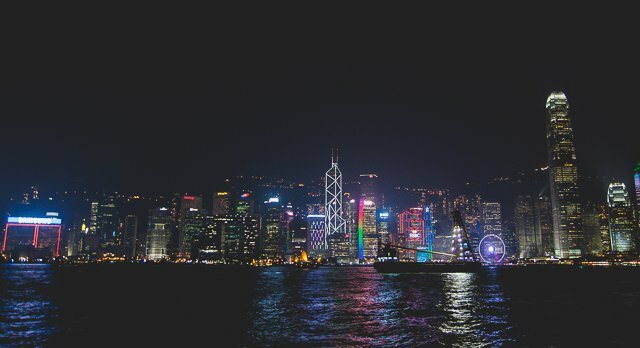 A Symphony of Lights is a daily light show involving all the iconic buildings opposite Victoria Harbour. If you’re already planning to see the city skyline, why not do it at night with the light fiesta? 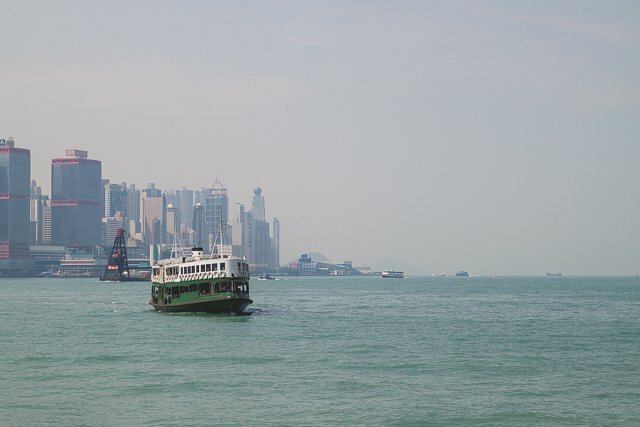 Probably the furthest I travelled was to Hong Kong island, which was a short 10-15 minutes ferry ride away. You could travel by MTR which is about a stop or two from Tsim Sha Tsui but I wanted to try out their Star Ferry. The views were fabulous but not the experience; I hardly get seasick but I did on the ferry. That should say something. Since I was already in Hong Kong island, I figured I might as well do the touristy things such as taking the tram up to the peak. The queue was long but fast. And here is the view from the peak. Look out for all the luxurious houses on the hill when you’re up at the peak. 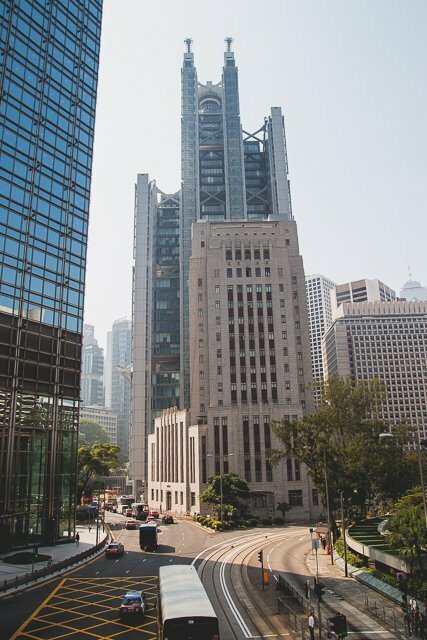 Look out for the significant difference between Hong Kong island and the Kowloon territories. Perhaps not a very touristy thing to do, but I was actually very intrigued by their skyscrapers. There was a lot of glass and the buildings were very tall and close to each other. 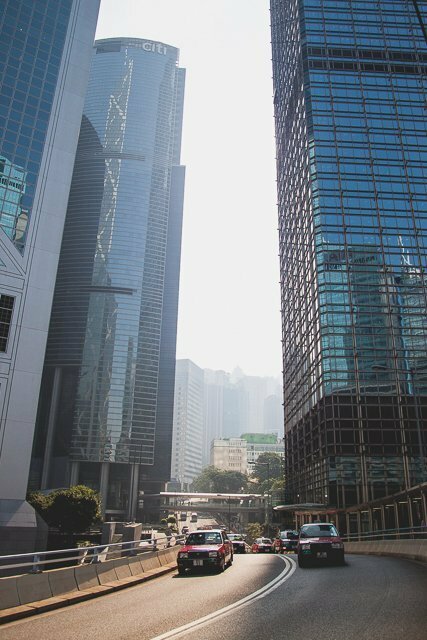 Their buildings dwarfed people and vehicles. 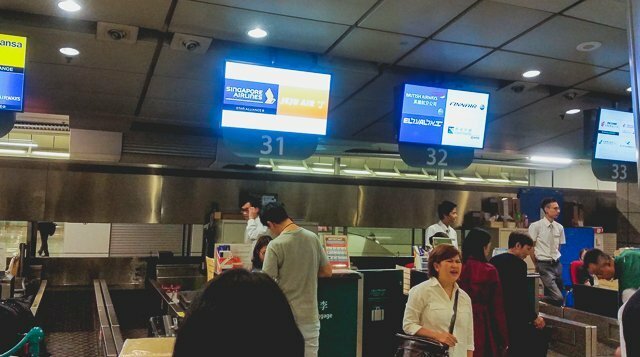 Bet you didn’t know you could check in your flight and luggage at the Airport Express Kowloon Station! Only applies to certain airlines though so be sure to check beforehand. Honestly, the soft serve was okay-ish and wasn’t even cheap. But it just felt like a very Hong Kong thing to do.